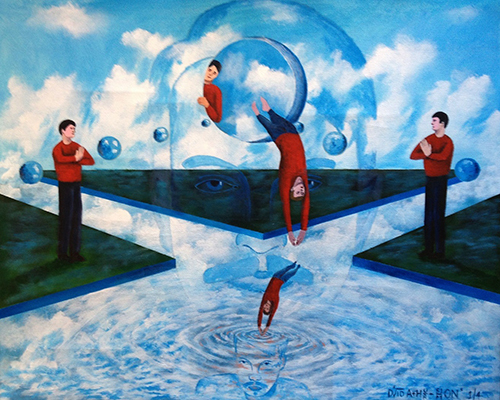 David Arthur-Simons is a nationality non-identified painter who has been living in New York since 1995. 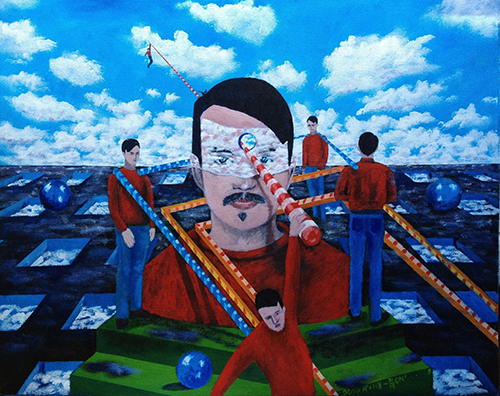 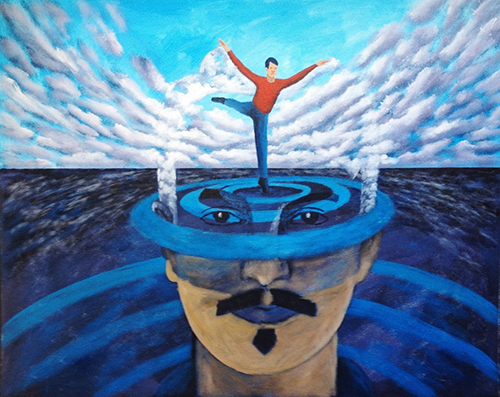 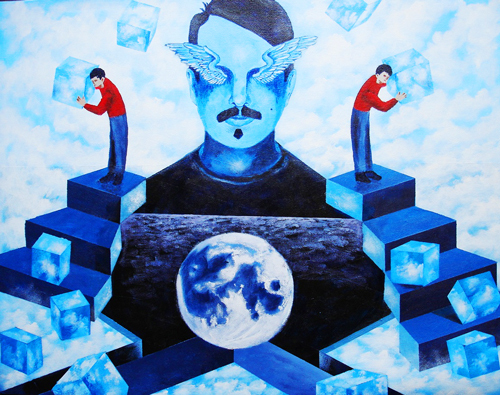 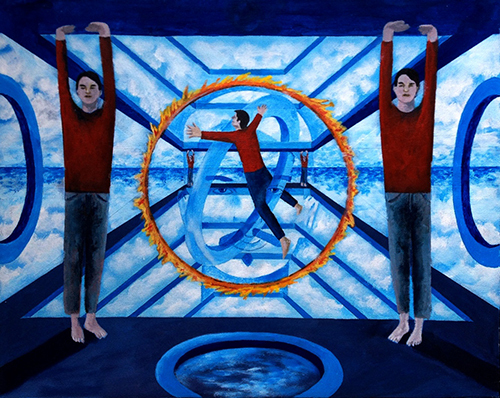 David is known for his large scale (in time and space) paintings that often take years to complete and draw on his studies of Western and Eastern philosophy, personal and universal mythology, dreams, his own intuitive dance, psychological self explorations and visions of realms beyond the visible and tangible. 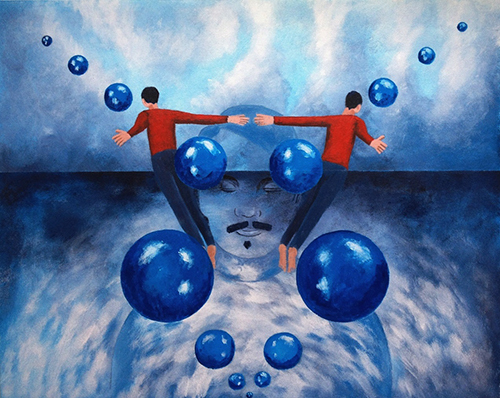 Since 2005 David has been working on a series of 365 paintings (one for each day of the year) that explore the inter-relationships between inner and outer states of psychological being. 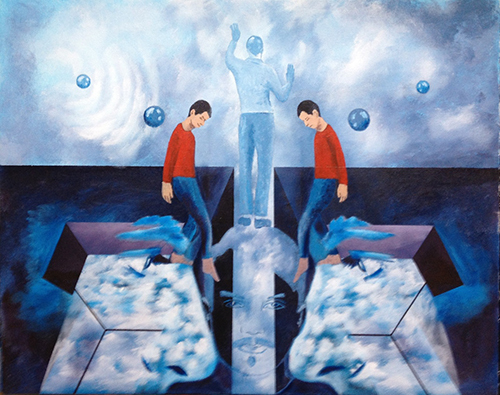 Though there are "earthly" elements in his paintings they are never presented in an earthly context. 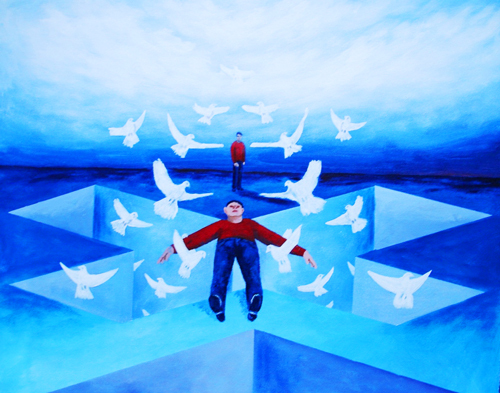 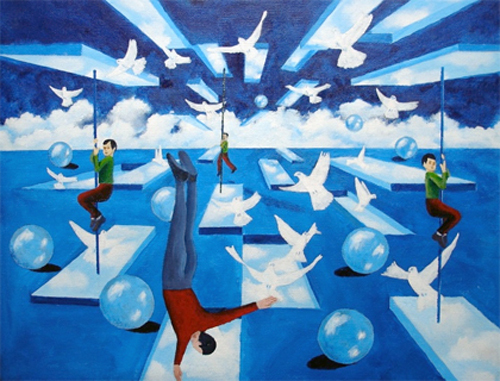 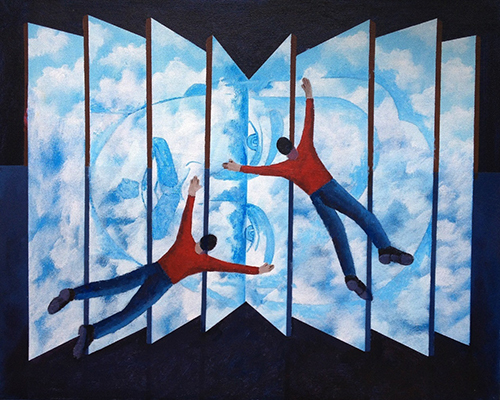 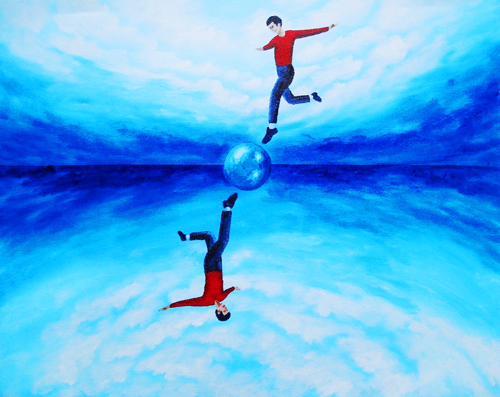 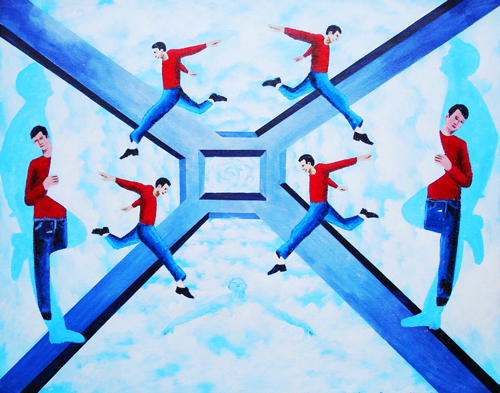 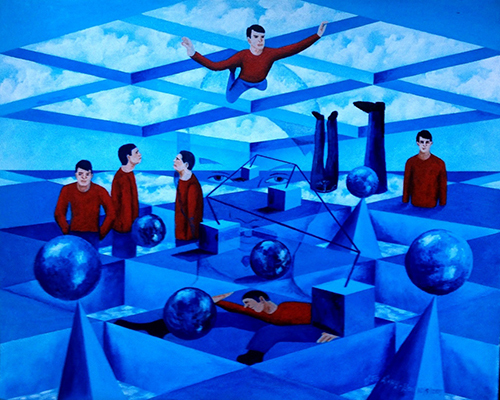 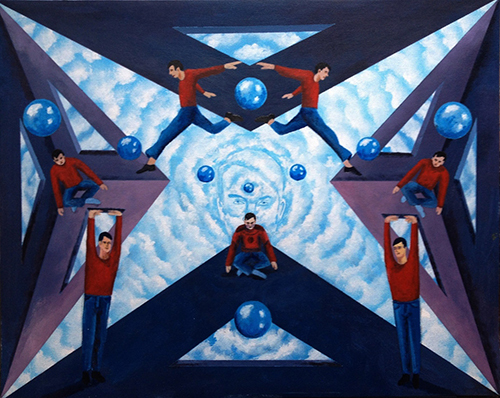 The imagined but not fantasy landscapes, figures and actions David paints are ideal places of peace and harmony, where symmetry and "easy" order rule and where people (all self-portraits) fly, leap and glide through the air and from one dimension to another constantly defying the accepted illusions of life. 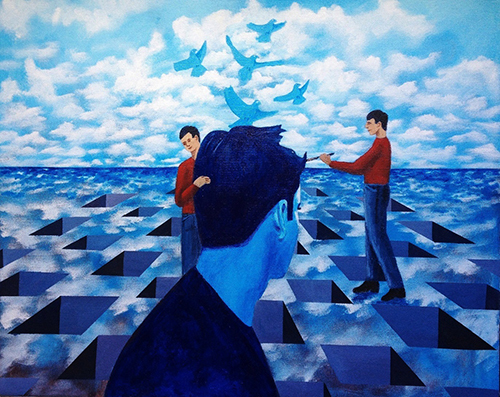 Each day, David works on one of the 365 paintings and completes as much as possible in one day. 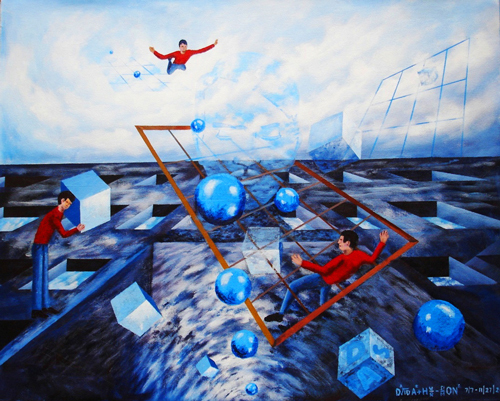 He then returns to the same painting the following year on the same day adding and subtracting elements till the painting is "finished". 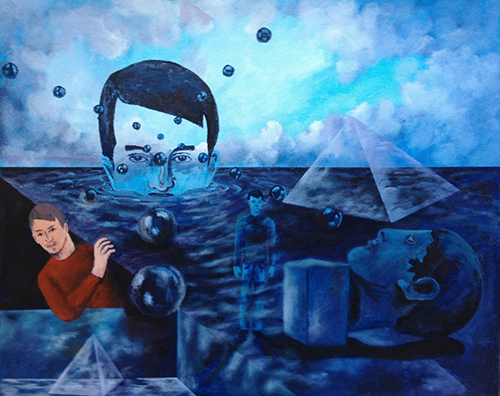 After nine years of work some of the paintings are beginning to reach a state of near completion so that the elements of the paintings are being pulled together to create a hidden anthropomorphic Gestalt self-portrait in the fabric of foreground, middle ground and background. 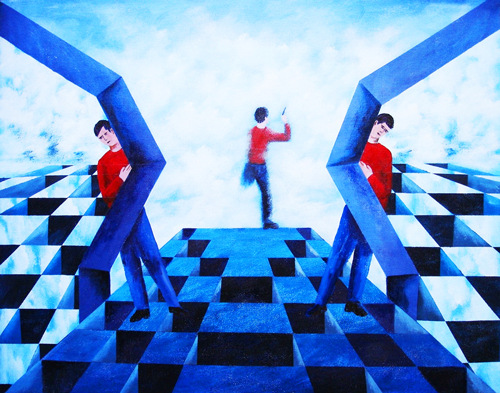 Can you find the hidden face in the later paintings?